Ever since I saw these wind up butterfly invitations I've thought about doing a butterfly themed birthday party for the kids. It might be too young of an idea for Lily but possibly Molly? Complete with butterfly release! See links below. 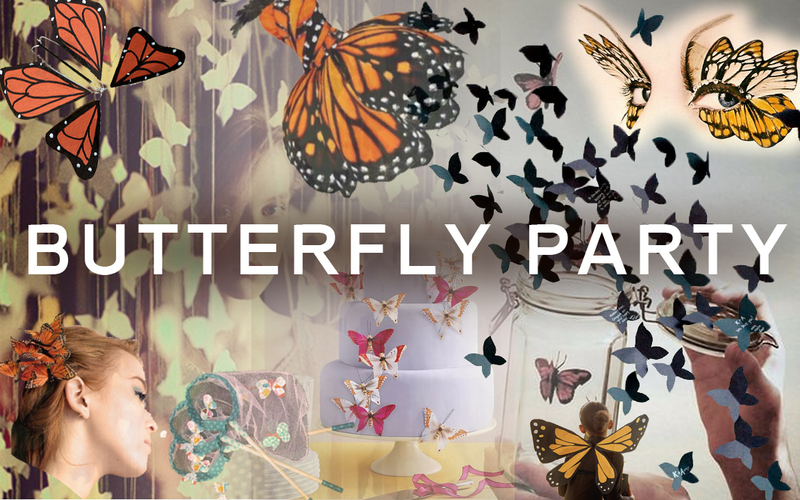 Here's all the ideas and info you need to put together your own butterfly birthday party too! Entertainment: Butterfly Release. You can order butterflies and have them delivered to your house and ready for individual release for as low as $54.00 a dozen and $90 for two dozen. Butterfly Facepainting. 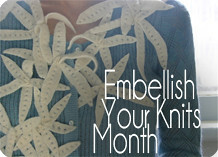 Just around the eyes or all over (see DIY video below). Windup Butterfly Invitations: You Are My Fave. 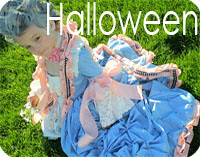 Outfit: Have the special girl wear a homemade butterfly dress or skirt. Here's a skirt. Here's an inspiration dress. 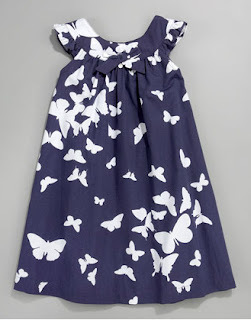 Here's a kids butterfly dress at Neiman Marcus. 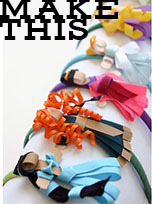 The inspiration dress is obviously too ambitious for a kids party but it could be just a skirt too. 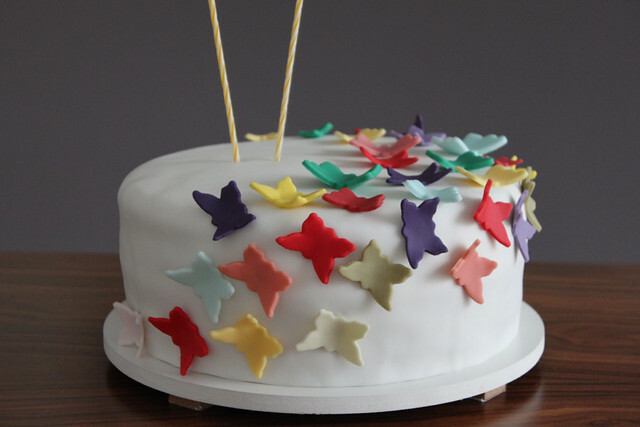 Butterfly Cake: Apron and Strings. Butterfly shaped fondant. Decorations: Large Butterflies, Small Butterflies, Hanging Butterflies. 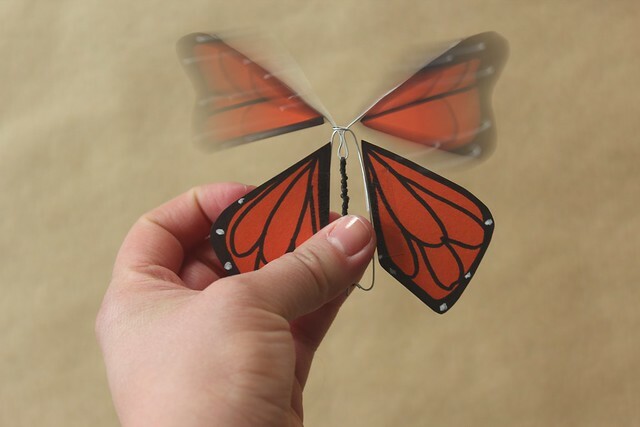 To make small butterflies in bulk if you have a die cutting machine you can buy a Sizzix butterfly shape. If you have a Silhouette make them in bulk that way. 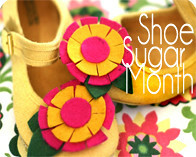 Or purchase them on etsy here. To make hanging butterflies just use fishing wire and tie knots below each butterfly. Favors: Butterfly Nets. Here's a DIY version. Here's where you can buy bulk. plastic combs bought at JoAnns. Small DIY Wings. 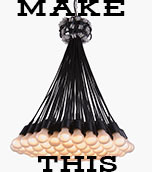 Get tutorial at Martha Stewart. Buy them for cheap at Oriental Trading. 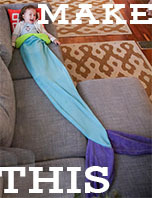 Thank you for sharing this idea...I love it and plan to use it for my daughters birthday this year. Her birthday falls two weeks after the one-year anniversary of her great grandmother's passing. Butterflies were a favorite for both of them. I was trying to find a way to represent the special bond they had and I think this is perfect for that. Thank you so much for sharing this! These would be cute as party favors too. 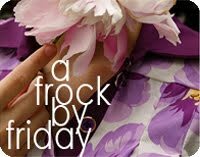 I just came to your site today and am loving it :) Some great ideas I want to try out.. However, I just wanted to warn you about the butterfly release... From what I have heard it doesn't usually seem to work out to well and most of the butterflies die before they are released :( Might not be something you'd want for your daughter's birthday. Oh dang! My daughter Anne-Louise would love this!